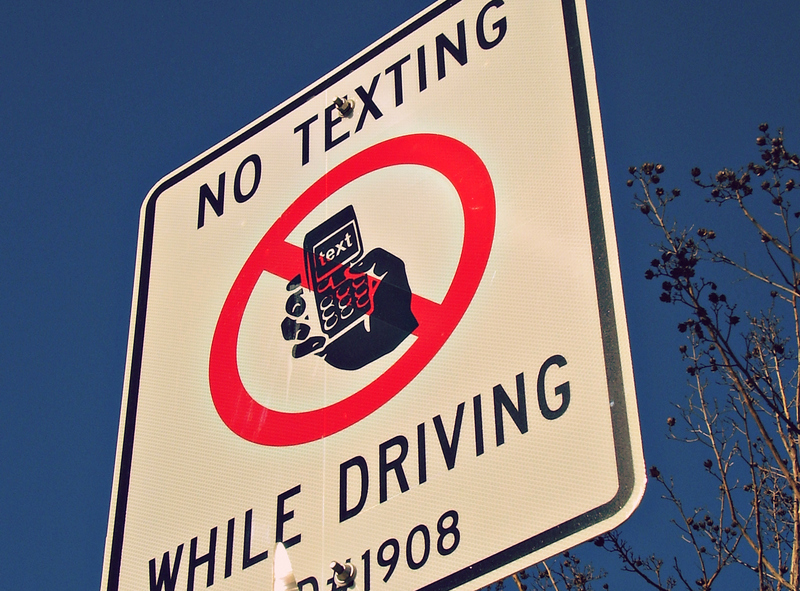 Texting and Driving: Is More Technology the Answer? As not just texting but also social media, access to Google and email have all become mainstream features of the phones we carry with us everywhere, the danger of distracted drivers sending texts, checking tweets and reading the latest email from the boss has become all too prevalent. Many like to limit the discussion of texting and driving to inexperienced teenagers, but the reality is drivers of all ages frequently excuse their use of their phone as a one time thing, a necessity or assume they can be more responsible than others. Don’t believe that texting is that big of a distraction? Glancing down to check a text for just five seconds is like traveling the length of a football field completely blind. In addition, contrary to other distractions that tend to either be mental, physical or visual, texting is distracting in all three ways: taking your hands off the wheel, your eyes of the road and your mind away from that fast-moving hunk of metal you are operating. While states strive to cut back on the onslaught of texting and driving via hefty fines and penalties, other organizations have turned to technology to help limit texting and driving. After all, the laws don’t seem to be stopping a large portion of drivers, with the National Highway Traffic Safety Administration finding that at any given time during daylight hours that 660,000 drivers are in some way using an electronic device. Just last year 3,300 people were killed, and hundreds of thousands were injured due to crashes caused by distracted drivers—proving that the those who choose to text and drive are creating consequences for all of those around them not just themselves. One device called OrigoSafe could provide one option for parents trying to limit their teenager’s texting while on the road. OrigoSafe is an ignition interlock system that prevents anyone from starting the car without first placing their authorized cell phone into the docking station. If at anytime the phone is removed from the dock, an alarm sounds until the phone is replaced. Removing the phone also de-authorizes it, so it can’t start the car again until the teen call his or her parents and asks for a one-time code. The device is meant to keep parents informed of what their teen is doing, and also to make texting unattractive thanks to the alarm and that awkward phone call. The Commercial Vehicle Safety Alliance is also working on developing technology to help professional drivers stay focused on the road. For devices with a fixed-display, the device is connected to the data bus so that it knows when the vehicle is moving. The system comes with options that allow fleets to control whether the driver can interact with the device while the vehicle is moving. It also has a text-to-speech capability that will read messages coming in from dispatch out loud for the driver. Alarms for when the vehicle is speeding or drifting out of a lane as well as audible navigation are also available. While technology like this is promising, not every driver will be willing to give up their phone making it important to learn how to driving defensively wherever you live, so you can be prepared for the other distracted drivers on the road.